By Anna Vitko · January 22nd, 2019 at 11:47 a.m. Which discipline would be the most necessary in an apocalypse? 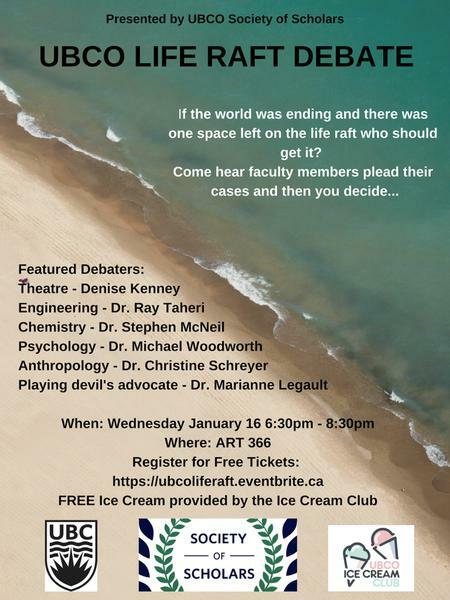 On January 16, The Life Raft debate was held where doctors debated and voted on which discipline society would require most in an apocalyptic event. A huge audience turnout in the Arts and Sciences building made for high expectations, with most seats filled and all tickets sold out. The host, Dr. Peter Arthur, asked the audience to imagine that they survived a catastrophe. They were on a raft where one seat was left, faced with the task of deciding which discipline would be the most indispensable for rebuilding society. Dr. Christine Schreyer said that Anthropology includes four fields which could help survivors cooperate effectively. Dr. Marianne Legault played Devil’s Advocate, arguing against an anthropologist on board because she did not want to be studied all day long. Denise Kenney advocated for Theater by saying that throughout her career she had experience with theatrical murders and offered her full support in case the survivors resorted to cannibalism. Her key arguments revolved around art as a source of imagination and meaning in life. Her speech was challenged by the fact that not everyone might enjoy theater. Dr. Ray Taheri stated that skills necessary for building infrastructure, cleaning water and air are in the hands of engineers, the ones who constructed machines in the first place. Meanwhile, Dr. Michael Woodworth, who represented Psychology, had a chance to win because he argued that psychology offers strategies that would help in finding peaceful solutions in arguments over scarce resources. 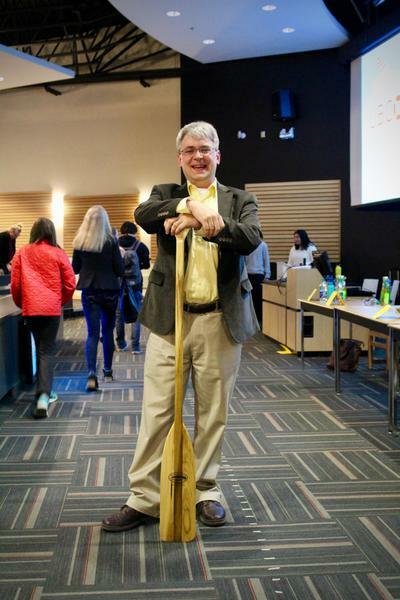 The winner of the debate, Dr. Stephen McNeil, argued that Chemistry allows us “to take anything you have and get anything you want, ” ranging from bronze to alcohol. After the event, a joke circulated that Dr. McNeil collected the most votes from the audience because he promised to provide survivors with alcohol. The Life Raft debate was a philosophical mockery of the belief that the most important discipline even exists. 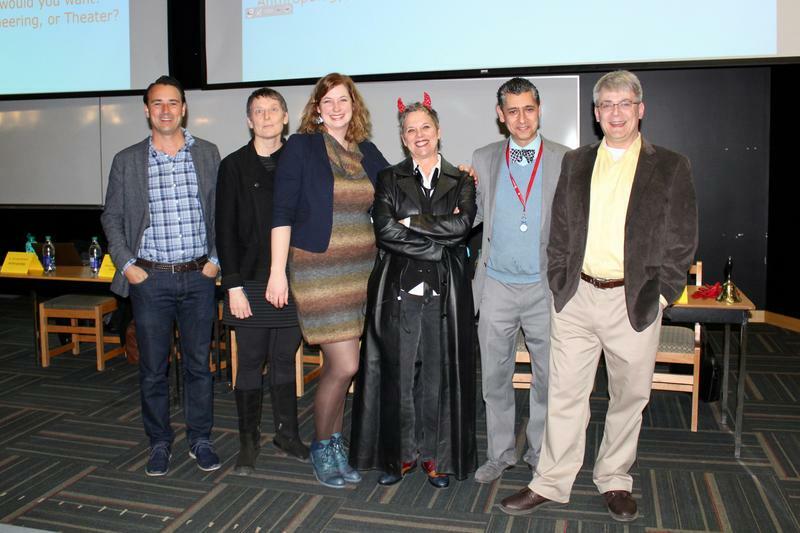 Ultimately, the debate reiterated what we already know as students, that it is possible to address global problems only through an interdisciplinary approach.